Many years ago all major cities in Australia and New Zealand had trams. Melbourne, which retains its vast network, stands alone apart from the Glenelg line in Adelaide and the line to Lilyfield in Sydney, which was opened in 1997 using the former Darling Harbour goods railway. 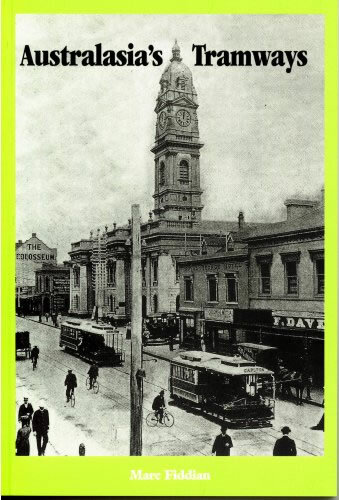 There were trams in Newcastle, Rockhampton, Geelong, Ballarat and Broken Hill as well as the capital cities. The early trams were horse-drawn vehicles, then came cable trams of which Melbourne had a system comparable with the big ones in Chicago and San Francisco, there were steam trams in Sydney, Newcastle and the New Zealand cities, and from the early 20th century electric trams. Liberally illustrated, the book is a history of trams in Australia and New Zealand.